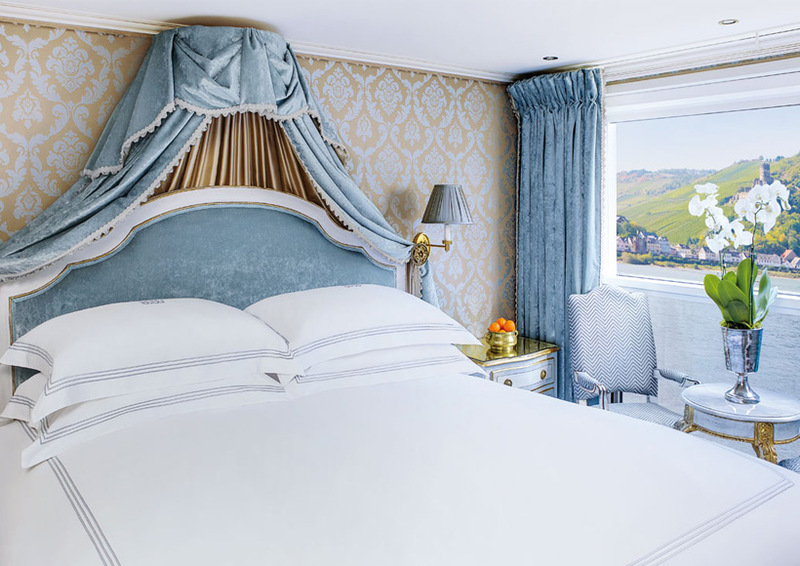 The wonders of Europe await right outside your window, and these unforgettable attractions ashore may be the only things to convince you to leave the all-encompassing comfort and luxury of your stateroom or suite. All riverview staterooms and suites are elegantly appointed with luxurious amenities, including hand-crafted Savoir© of England beds; 100% Egyptian cotton linens; 24-hour room service; Italian marble bathrooms with plush towels, comfy robes and slippers; generous built-in closets; flat-screen TVs with satellite channels and movie choices; in-room safe and more. Many include open-air or French balconies. 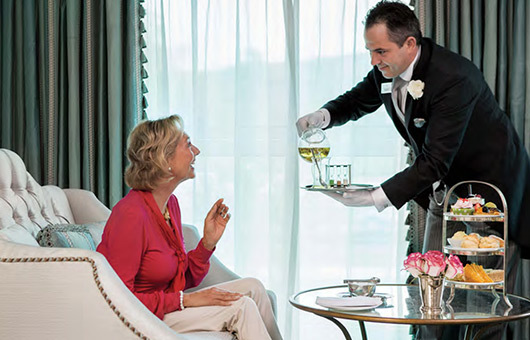 Suites also include in-suite butler service, packing/unpacking assistance, daily fruit plates, elegant evening snacks, coffee machine and fine teas, stocked mini-bar, a special dinner in Bar du Leopard and more. Required deposit of 30% per cabin can be made by American Express, Discover Card, or check (payable to MoneyShow). 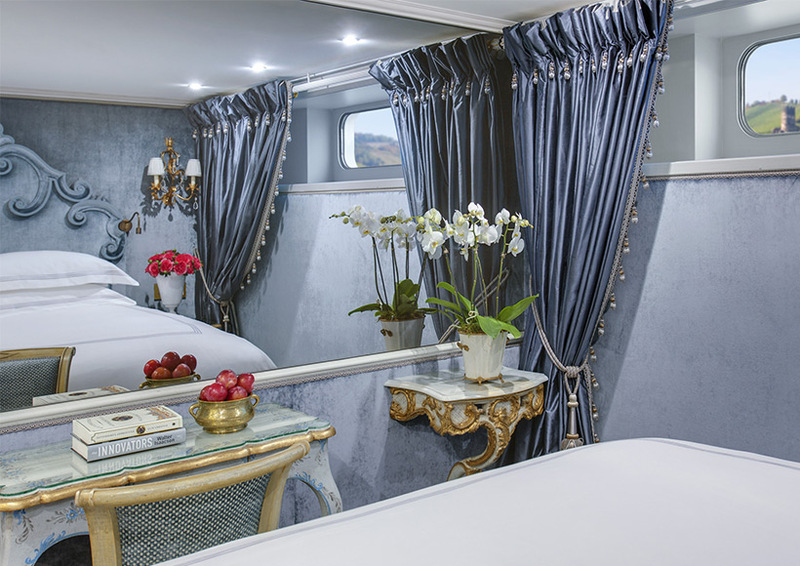 305 square feet (with balcony) Lavishly appointed riverview stateroom (305 sq ft - 28.3 sq m) with an open-air balcony. Handcrafted Savoir® of England bed, built-in closet, hair dryer, safe, individual thermostat, flat-screen TV with infotainment center and satellite, and bottled water. 194 square feet (with balcony) Lavishly appointed riverview stateroom (194 sq ft - 18 sq m) with an open-air balcony. Handcrafted Savoir® of England bed, built-in closet, hair dryer, safe, individual thermostat, flat-screen TV with infotainment center and satellite, and bottled water. Marble bathroom with L’Occitane en Provence bath and body products, plush towels, towel warmer, cozy bathrobes and slippers. 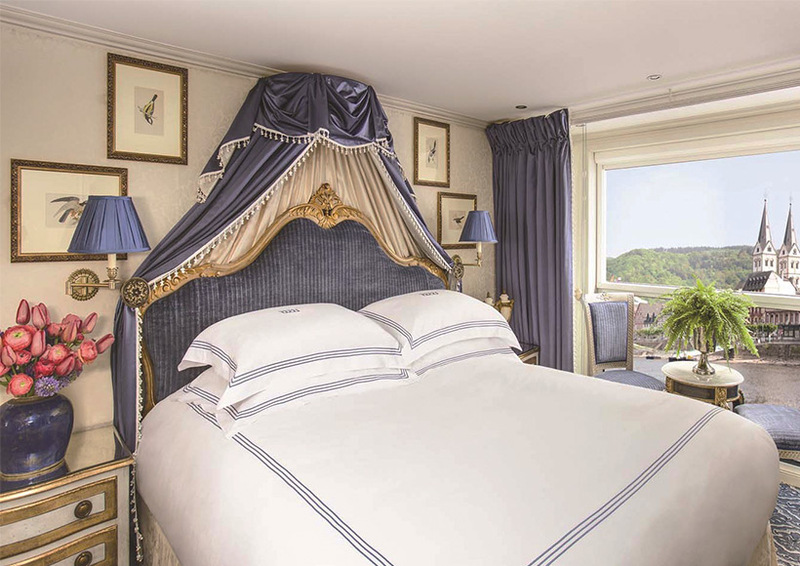 194 square feet (with balcony) Lavishly appointed riverview stateroom (194 sq ft - 18 sq m) with a French balcony. Handcrafted Savoir® of England bed, built-in closet, hair dryer, safe, individual thermostat, flat-screen TV with infotainment center and satellite, and bottled water. Marble bathroom with L’Occitane en Provence bath and body products, plush towels, towel warmer, cozy bathrobes and slippers. 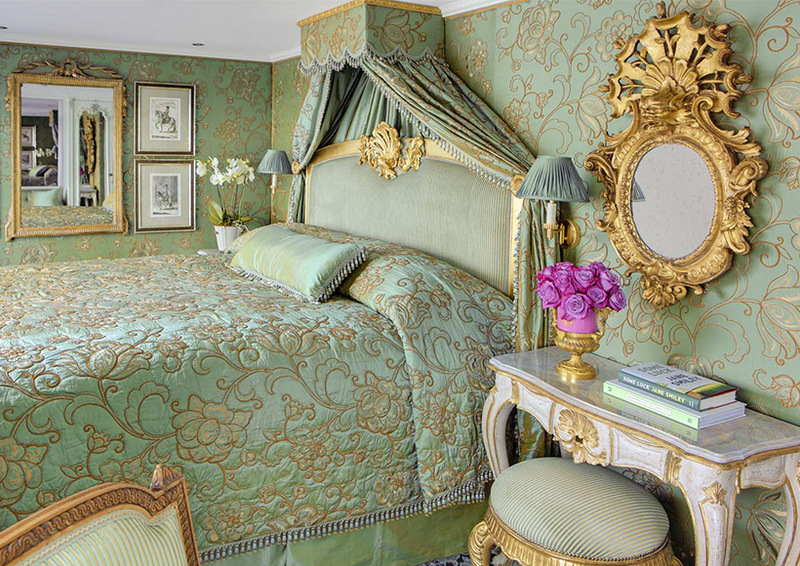 162 square feet Lavishly appointed riverview stateroom (162 sq ft - 15 sq m). Handcrafted Savoir® of England bed, built-in closet, hair dryer, safe, individual thermostat, flat-screen TV with infotainment center and satellite, and bottled water. Marble bathroom with L'Occitane en Provence bath and body products, plush towels, towel warmer, cozy bathrobes and slippers.